It provides 100% UVA and UVB protection yet folds to an almost secretive size. 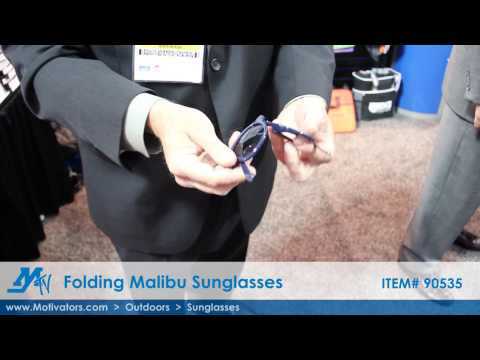 The custom imprinted Folding Malibu Sunglasses folds down when not in use and is the perfect size for everybody. The UV400 lenses make the Malibu a must-have for anyone's beach bag. Additional imprint areas may be available. Please call for more information: 800-525-9600.